Every time I go to the grocery store, I’m overwhelmed by one thing: the number of choices we have these days. Some people say this wealth of choice could actually make us unhappier overall. Now I don’t know what to think about that, but I do know that nothing can seem more daunting than a trip to the toothpaste aisle — with hundreds of choices, it can be impossible to know which one is best for you. As your Waco dentist, Dr. Cofer understands, and he’s in today with tips for choosing a toothpaste that’s just right for you and your teeth. Keep reading to learn more. When choosing a toothpaste, the number one thing to remember is this: the best toothpaste is the one you’ll use twice a day, every day. Aside from that golden rule of oral care, here are some other things to keep in mind on the toothpaste aisle. When you choose a toothpaste that’s been approved by the American Dental Association (ADA), you’re making a safe bet. The ADA only backs toothpastes that contain fluoride, the mineral that’s key to maintaining strong, healthy teeth. You should see their stamp right on the front of the box — and if it’s not there, think twice before buying. If you notice your chosen toothpaste is labeled as antimicrobial, that’s great — this is a common type of toothpaste, and it contains an antibacterial agent that fights against cavities and sensitivity, too. 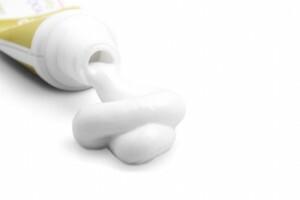 If you’re constantly battling against tartar buildup, you probably have grandma or grandpa’s genes to thank for that — but you should know that you can help reduce plaque and prevent tartar by choosing a tartar control toothpaste. These contain sodium pyrophosphate or hexametaphosphate, long words which just mean they’re great at preventing tartar formation. Remember that if you already have tartar buildup, however, no toothpaste will remove it — you’ll need to schedule a dental cleaning for professional tartar removal. If time has taken a toll on the shade of your smile, you can help brighten it slowly by choosing a whitening toothpaste. These contain abrasive or chemical elements that can help reduce the appearance of stains and make teeth look whiter. If you’re curious about how the toothpaste you’ve chosen is treating your teeth, or if it’s been more than six months since your last dental exam, don’t wait to schedule your appointment with Dr. Cofer and the team at Mosaic Smiles. We’re your Waco family dentist committed to caring for your smile today, and for years to come — call us today. by: Dr. Rick Cofer at November 4, 2015 .